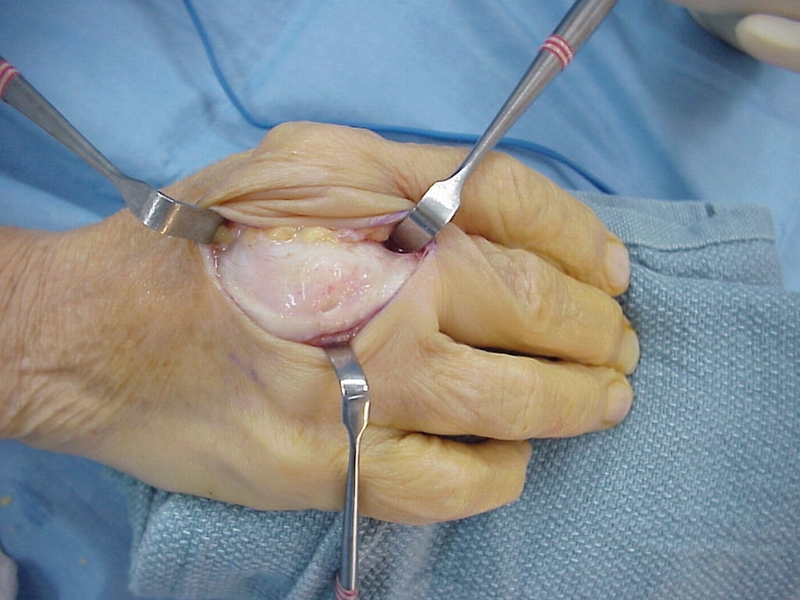 The sagittal bands are ribbonlike tendinous attachments which maintain the central dorsal alignment of the common digital extensor tendon at the level of the metacarpal head. 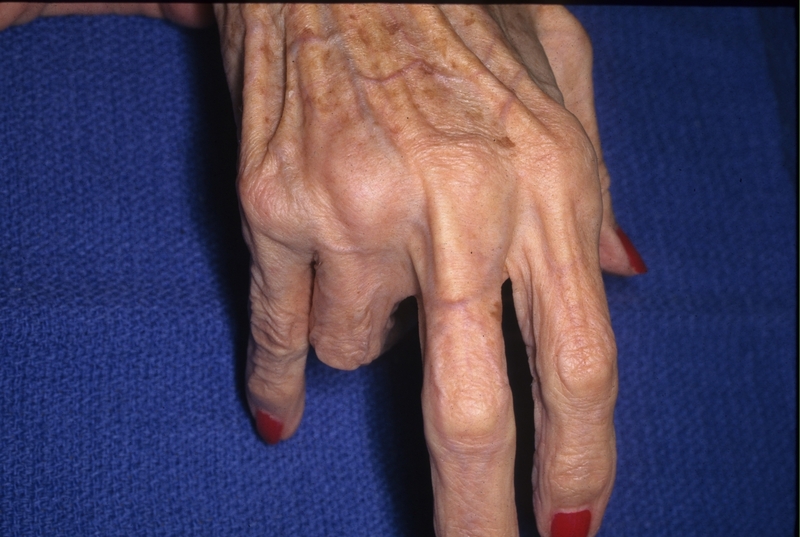 They may become incompetent from attritional rupture, chronic synovitis, severe MCP contracture from Dupuytren's or spasticity, or acutely injured by a sudden external flexion force during active extension. 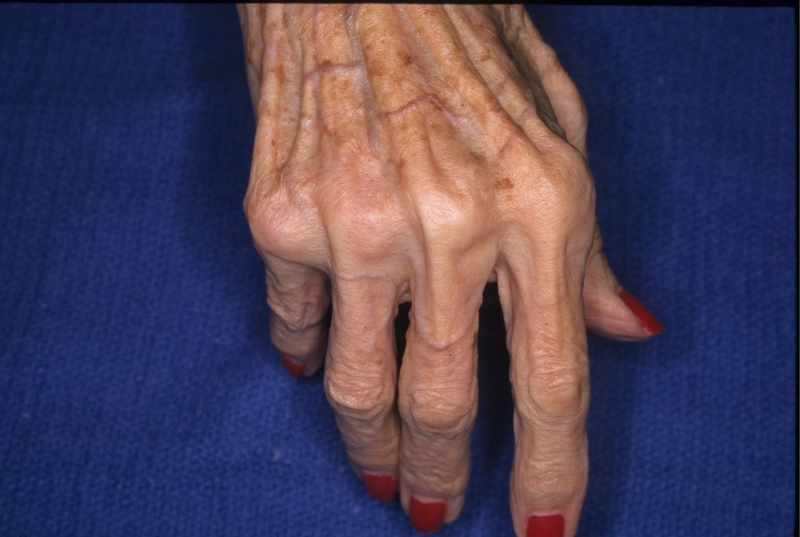 Minor degrees may produce visible snapping, but not affect joint motion (see video). 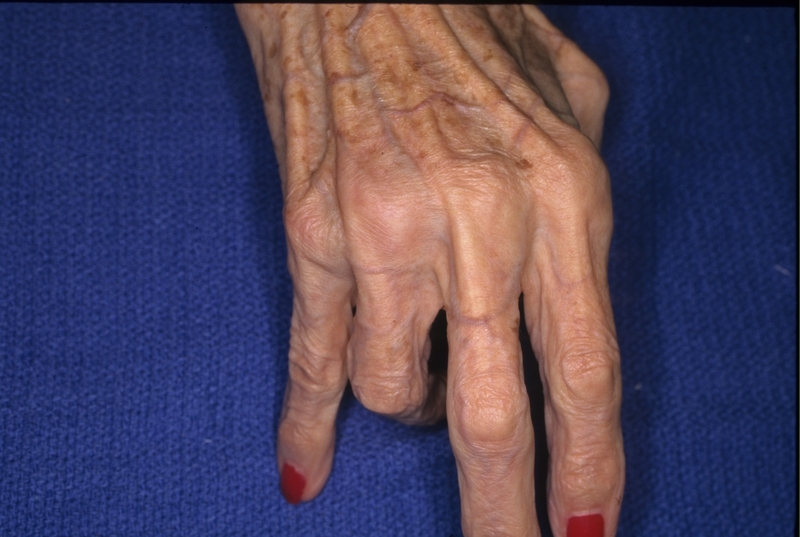 Greater loss of constraint allows the common extensor to translate palmar to the axis of rotation of the metacarpal head, it will produce flexion and lateral deviation. 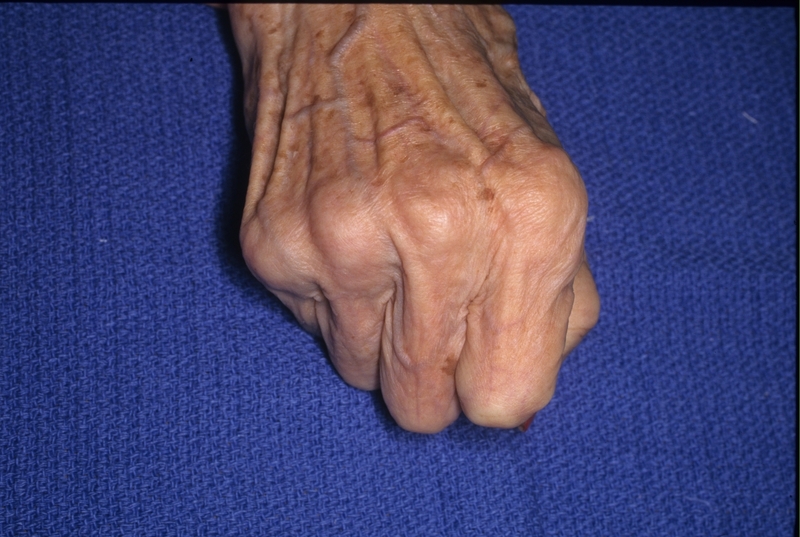 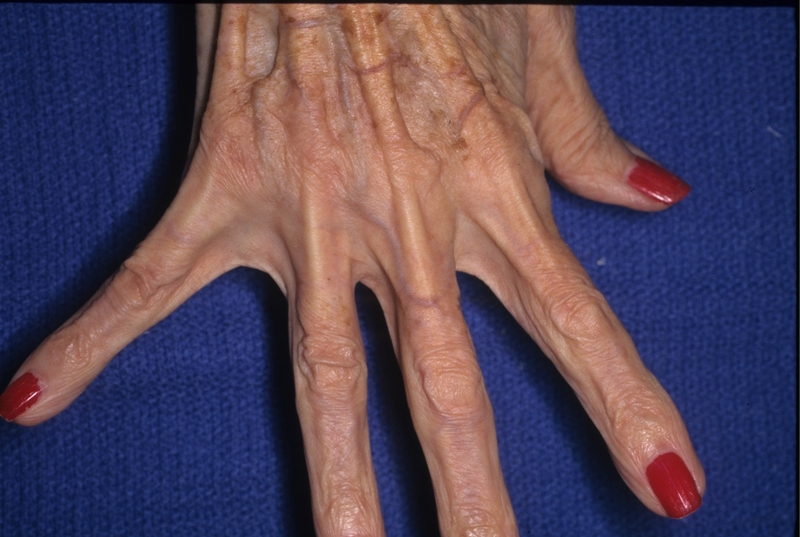 Typical presentation of a radial lateral band rupture. 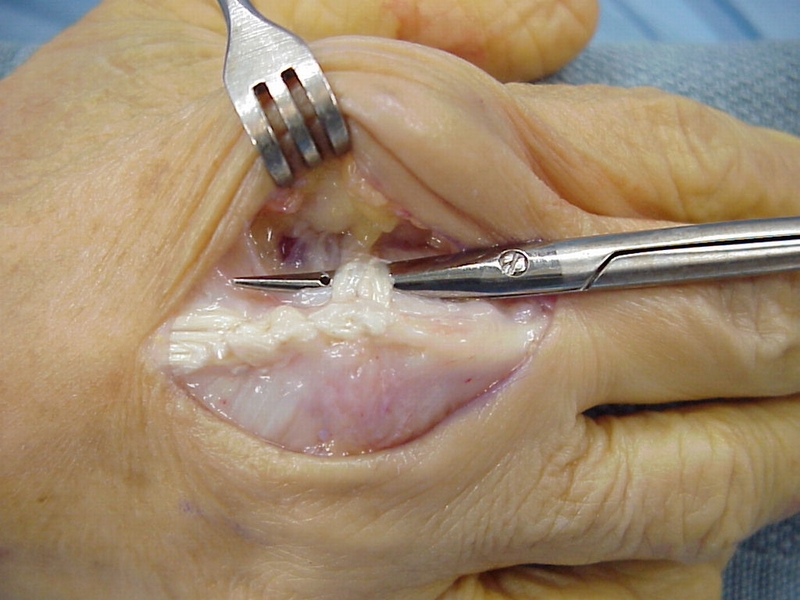 The extensor tendon falls into the intermetacarpal groove and acts as a flexor when the joint is flexed. Click here for videos of additional case examples and surgical technique.